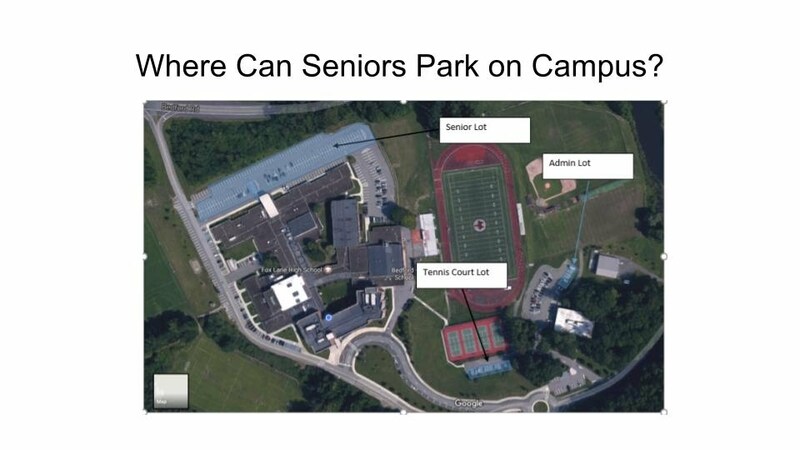 Seniors are the only students eligible to park on campus provided they have obtained a senior parking permit from the Student Activities Office in the Guidance Suite. Permits are issued on a "First Come, First Serve" basis. Parking is ONLY allowed Red Lined Spaces in the North Lot (Senior Lot) located in the front of the North Entrance, Administration Lot (Student Spaces ONLY) as well as the Tennis Courts Lot. **Please note that we cannot accommodate requests from Juniors or parents for exceptions due to the limited amount of spaces on campus. Parents are advised to make alternative arrangements when they are not able to transport their children to and from the school campus.